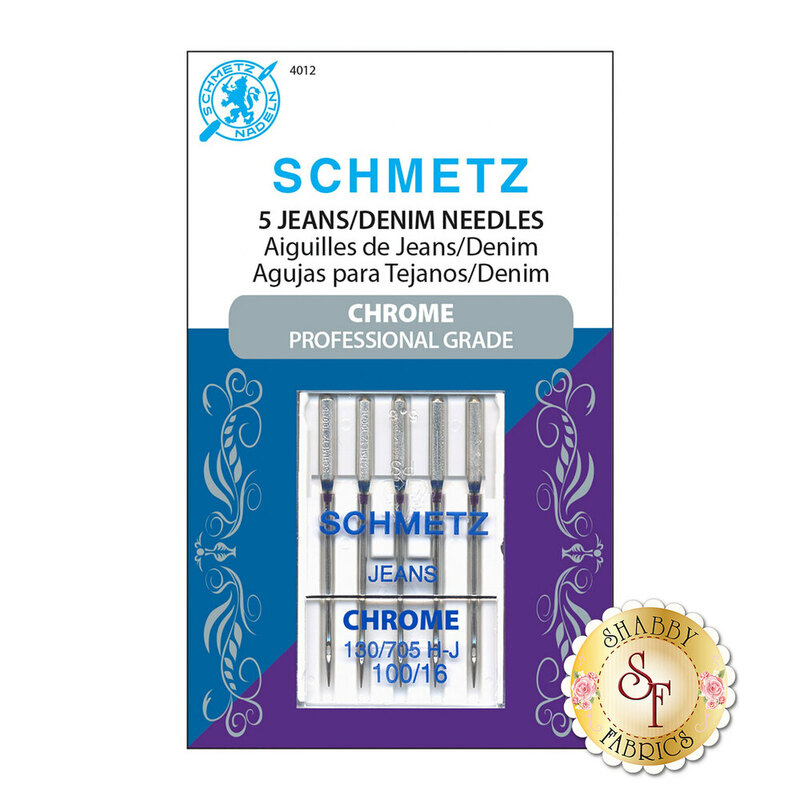 These Schmetz Chrome Jeans/Denim Needles are great for sewing through denim and dense materials like extra thick wovens, quilts, and jelly roll rugs! They feature heat resistance for improved durability and performance, smoother stitch creation, and less friction both on the thread and the fabric. Use these needles for your next project! Contains 5 needles per package.